That is what I keep telling myself as I continue to work through the challenges my family has been dealing with over the past month. This past week I’ve spent the majority of my time driving to and from my daughter, Shantel’s, school, doctor’s appointments, pharmacy’s etc. etc. etc… As a result of all the appointments, I had to switch my normal days of visiting my mother at the care center where she lives. I called the duty nurse and asked if she would please let my mother know that due to the many appointments consuming my time, I would come to visit my mother on Friday, and that I would be there early because I had another appointment around 11:00 Friday morning. The nurse communicated the information to my mother, but my mother kept forgetting what day I was coming so she called me everyday wanting to know why I hadn’t come, and when I would be there…? Yesterday my mother called me and said it was urgent that she see me, and asked me to bring her a bag of depends when I come to visit today, Friday. I asked her if she was sure she needed them because I just brought her a new pack last week, and at that time she had two packages of unopened depends on her table. She insisted she needed them so today I took her another package only to find a full unopened package sitting right where I left them for her last week. However, as I was visiting with mom, I noticed a large bruise on the top of her right hand, and a smaller, but still good size bruise on her left hand. I asked her what happened to her hands and she told me an Aid, that was new, gave her a shower and was pushing so hard on her skin that she told her she was hurting her but the Aid said “I’m not hurting you” and just kept scrubbing. My mother said she reported it to the duty nurse who was supposed to be taking it up with the Director of Nursing. 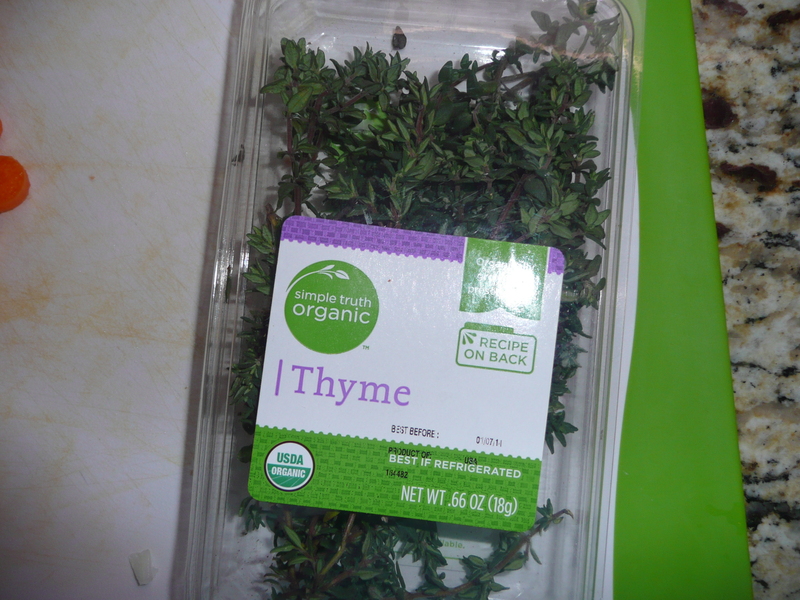 I immediately went to speak to the Director of Nursing myself. The Director of Nursing told me she just found out about the incident herself and she is investigating it. I let her know I want the person that caused the bruises on my mother to be removed from caring for my mother and said in fact, I thought she should be fired as I considered it abuse, especially when my mother told her several times she was hurting her. It is under investigation as I type this, and I will be called later today with the results. Our daughter, Shantel, is in her final semester at South Mountain Community College (SMCC). She will graduate in May, then transfer to Grand Canyon University, a dream she has been following since she was a sophomore in High School. Over the past three years, Shantel developed a very good relationship with the Disability Services Department at SMCC, and has received excellent support from them. They have really done a great job of making sure her text books were scanned and sent to her electronically, so she could access the information on her phone. In addition, a note taker was assigned to her classes to take notes from class lectures, because Shantel can’t listen to the instructor and the voice over on her phone at the same time. And if the instructor was writing information on the board, Shantel needed someone to capture that information in the lecture notes as well. For the past thee years, all class notes were done as a Word Document and sent to Shantel as an email attachment… All of that has been provided, without fail, for the last three years. This semester Shantel is taking Accounting III, Biology 201 (with lab), and Psychology Statistics. 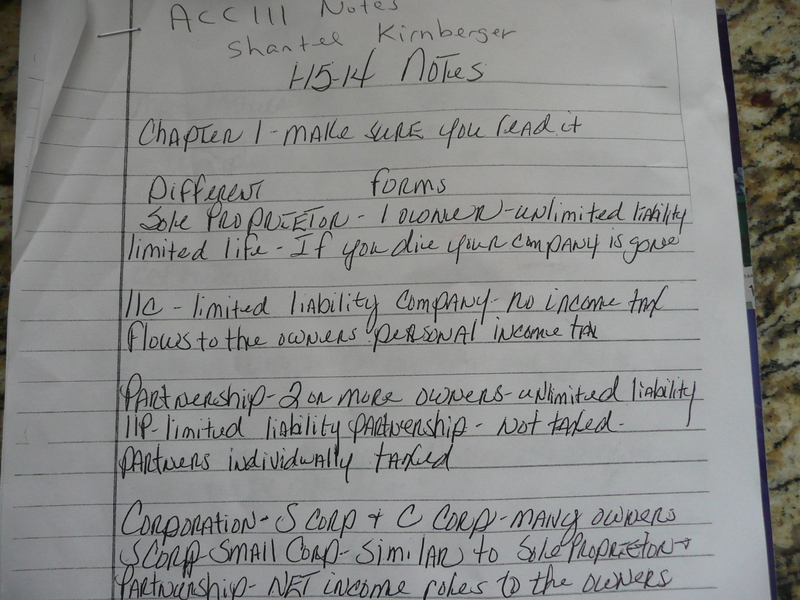 This past week the assigned note taker in her Accounting class showed up and took notes for Shantel…This is what was given to Shantel at the end of class. Yep, that’s right, six pages of hand written notes given to a totally blind student… ARE YOU KIDDING ME??? When Shantel met with the Manager of Disability Services to let her know she needs these notes typed into a word document and emailed to her as an attachment…she was told “since you have such a strong support system at home… your mom can read these notes to you and help you with the assignments... Here we go again… let me translate for you what I have learned over the years a “strong support system at home really means… you are now a short timer at SMCC, and we don’t have the resources to support you, so we are going to DUMP all this on your mom, because we know she will not let you down this close to earning your degree…!!! I was OUTRAGED to say the least. I mean, who in today’s world of technology can’t supply the note taker with a laptop so they can type the notes into a word document and send them to Shantel as an email attachment so she can access the information from her phone, and the voice over will read the notes to her, and she can access the information over and over again as needed until the test…? But, no, they sent the six pages of notes home to me to read to Shantel… Well, I got up very early the next morning, and typed the hand written notes into a word document and sent them to Shantel as an email attachment… She received them and has been reviewing them all weekend… If I can do that for her, why can’t they…? Again, I will do ANYTHING to help Shantel. That said, please know, I NEVER, EVER, liked math, or anything to do with reporting numbers…. so what part of reading 40 pages of this do you think I’m excited about??? 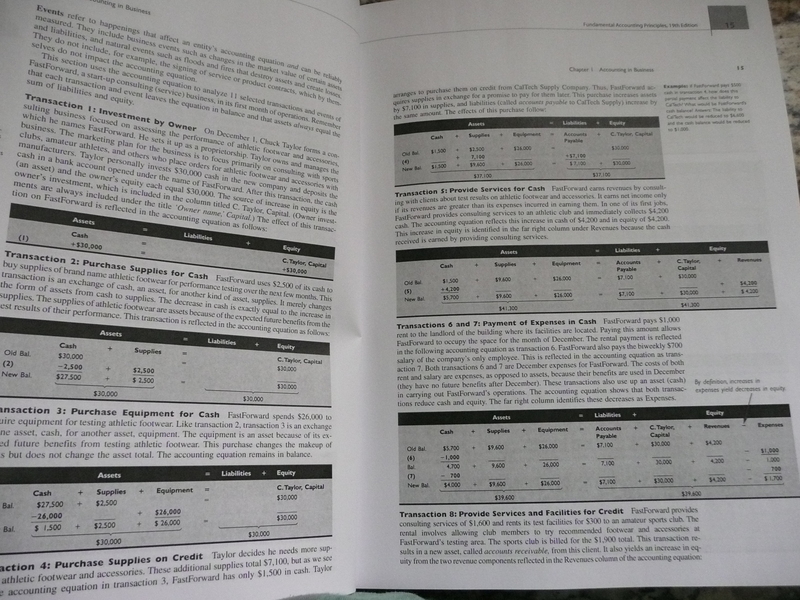 OMG, it’s all about numbers, and creating statistics tables…. OK, yes, I was a Manager of three departments at one point in my Corporate America Career… but anyone who knew me knew I HATED anything to do with budget, or statistics… HATED it, and was soooooooooo glad that budget only came around once a year. As I mentioned in my past post, our family has been dealing with a difficult challenge for the past month, and we are still very much in the middle of getting things under control and back to “normal” or at least back to whatever our “normal” is…. And, because I was asked not to blog about the details of the situation which was all-consuming of my time, energy, and emotions…I found it easier not to blog at all this past week. Our daughter, Shantel, is taking Biology 201 this semester, which is Human Anatomy & Physiology. She really wasn’t looking forward to this class in the beginning. However, she really likes the Professor, Dr. Spencer. She said he is really great about getting your attention and keeping you interested throughout the entire lecture and lab which is a total of 2 1/2 hours every Tuesday and Thursday. On day one of the biology lab, the class was divided into groups. Shantel is in a group with three other students. 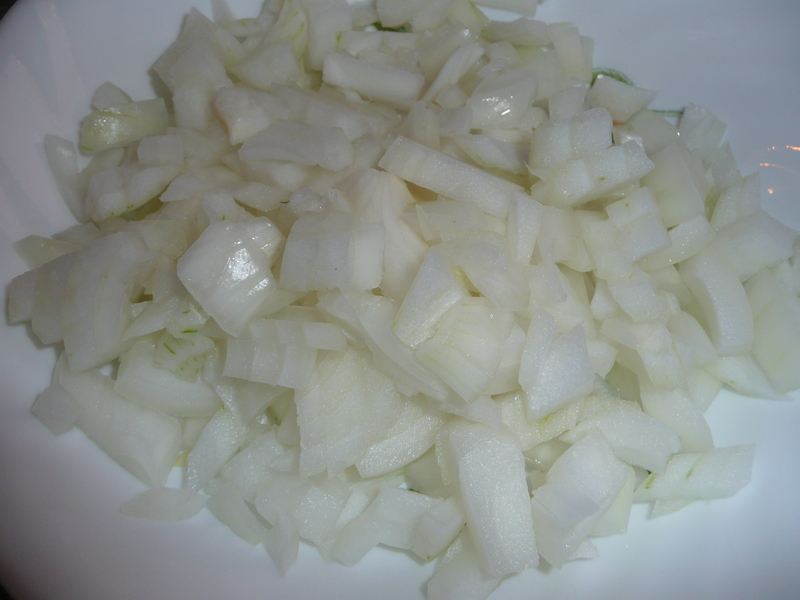 The first assignment was to chop up squash as a way to help the students learn the biology terms, and how to use the tools used when they advanced to actually dissecting RATS, which happened in the very second lab. Since Shantel is blind, she said she and the group all very quickly decided Shantel would not be the one using the scalpel… good decision on their part I think. But that did not mean Shantel would not have every other opportunity to fully participate in the lab experience. So, once the class was back under control, the dissecting began. Shantel said Dr. Spencer insisted she hold the heart of the rat her group dissected, and that she touch the liver. Now, for those of you who may not know, Shantel has REAL issues touching things she thinks might not be clean. She won’t even touch raw meat when we are cooking together, not even if she has gloves on… So for her to hold the heart, touch the liver, and hold an unborn baby rat was a HUGE achievement for her. HUGE!! I asked Shantel what she was thinking while she was touching the heart, liver and unborn baby rat. She said “all I could think of was putting it down” She said she thought the whole experience was gross! I’m sure she did. But the main thing is she did it, and that is something to be very proud of. She didn’t let her fear get in the way of fully participating in the assignment. She knows she has to pass this class to earn her degree and graduate in May so she can move on to her next goal of attending Grand Canyon University in the fall. I reminded Shantel that overcoming a fear is sometimes just a matter of changing your thoughts. It’s been said when you change your thoughts, you change your world… If we could all just remember that, and do it, we might not find ourselves thinking “Oh RATS!!! When I find myself dealing with stressful situations, which of course we all know rarely happens around my house…. but when they do… and I need to relax, calm, or center myself from what is outside my control, I have a wide variety of things I enjoy doing that work well for me. I love spending time in church or our Adoration Chapel. I love to go for long walks and do so almost everyday. I find reading or going out to a movie very relaxing. And one of my main go to activities that helps me relax is cooking. This past week, was a bit unsettling, and I spent a good deal of time cooking a variety of meals. 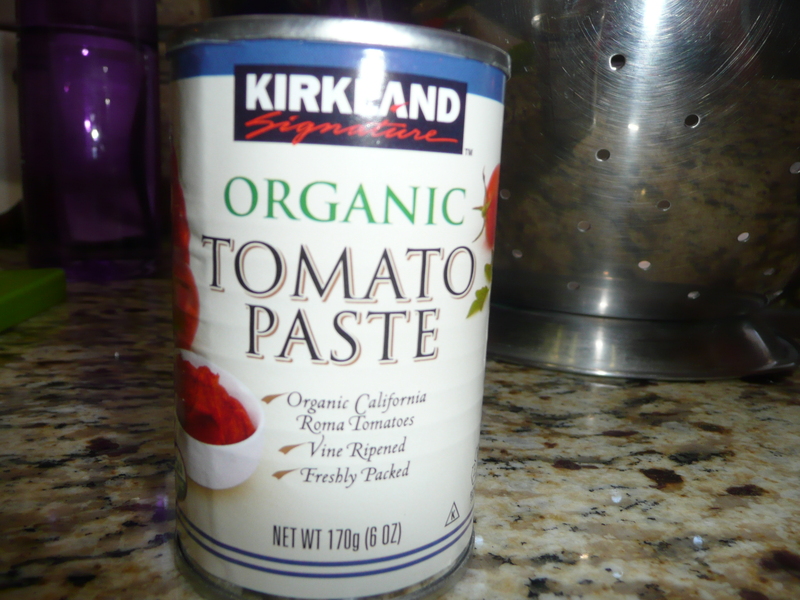 Here is one of my family’s favorite comfort foods that is healthy and easy to make. 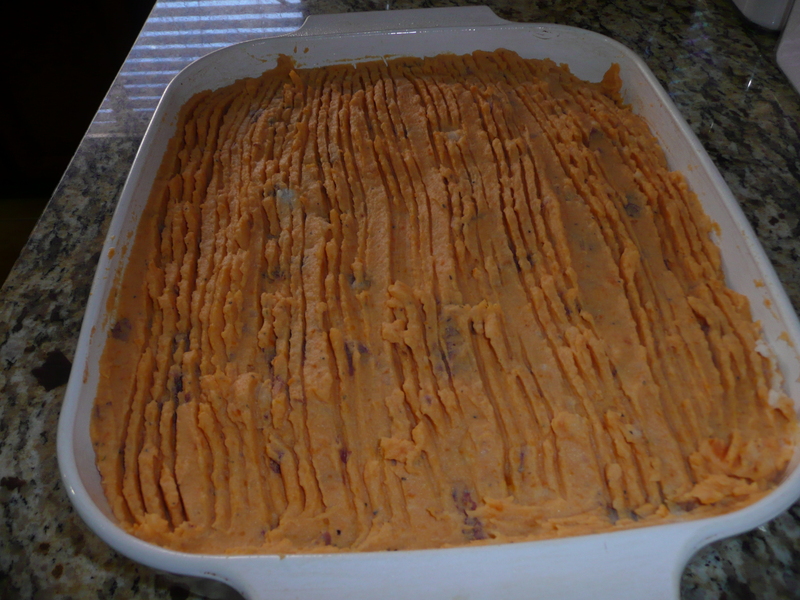 Sweet Potato Shepherd’s Pie. Yum!!! 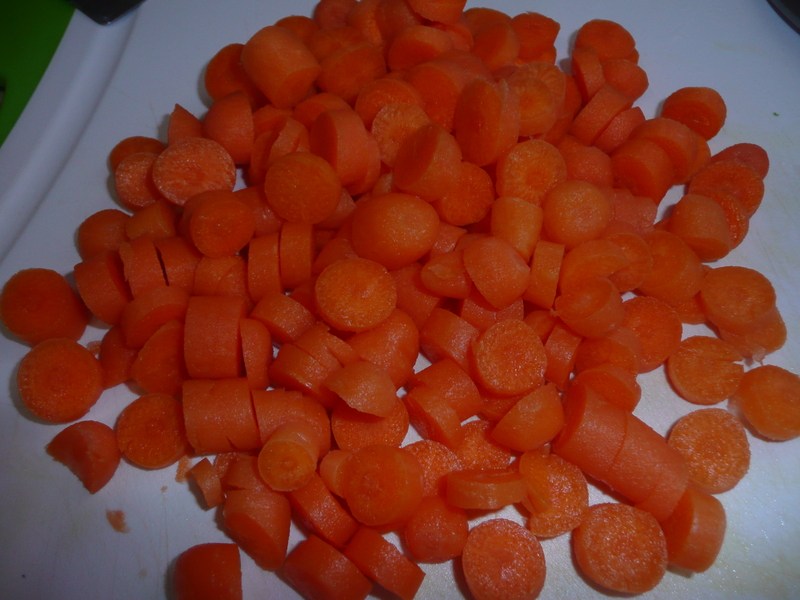 Peel sweet potato’s and cut into cubes. I washed the red potatoes and cubed them with skins on because I need all the fiber I can get, but you can peel them if you have a mind too. 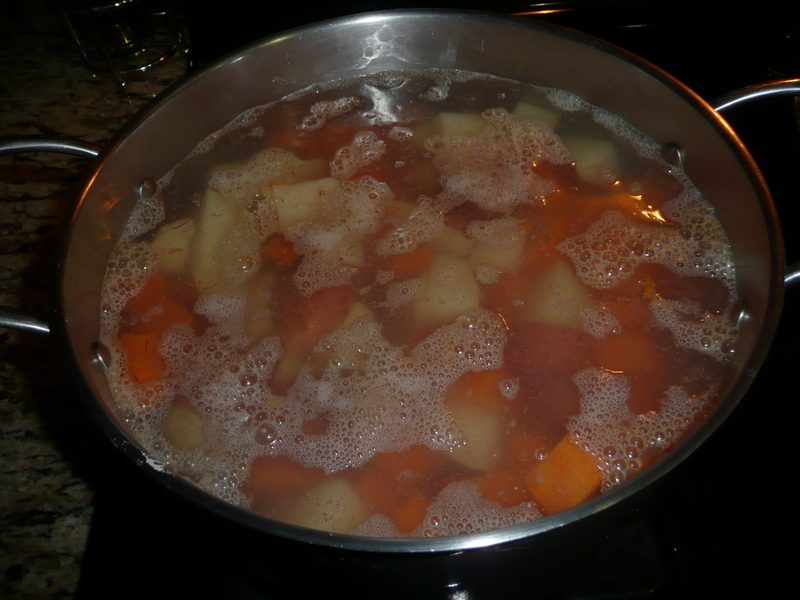 Put sweet potato’s and red or Yukon potato’s in a pan of water, bring to boil, and cook until potatoes are fork tender. 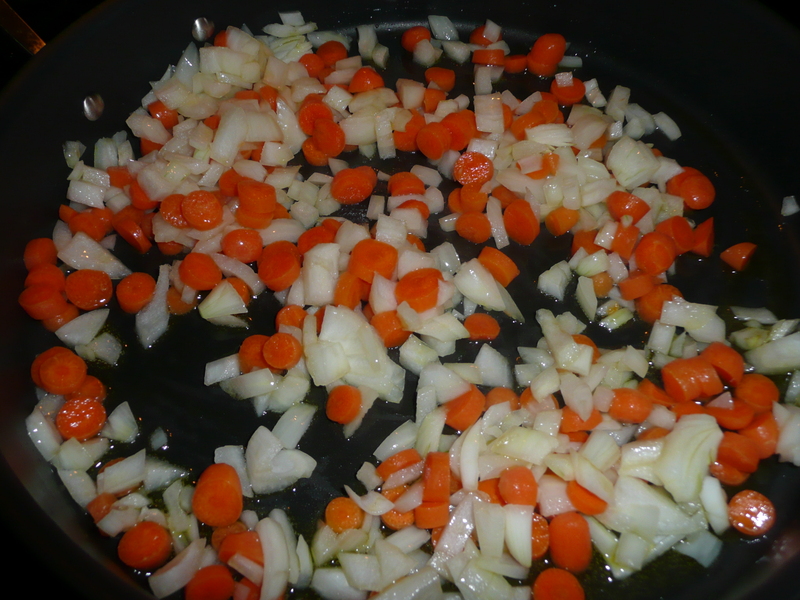 Brown onion, garlic and carrots in olive oil then remove from pan and set aside. 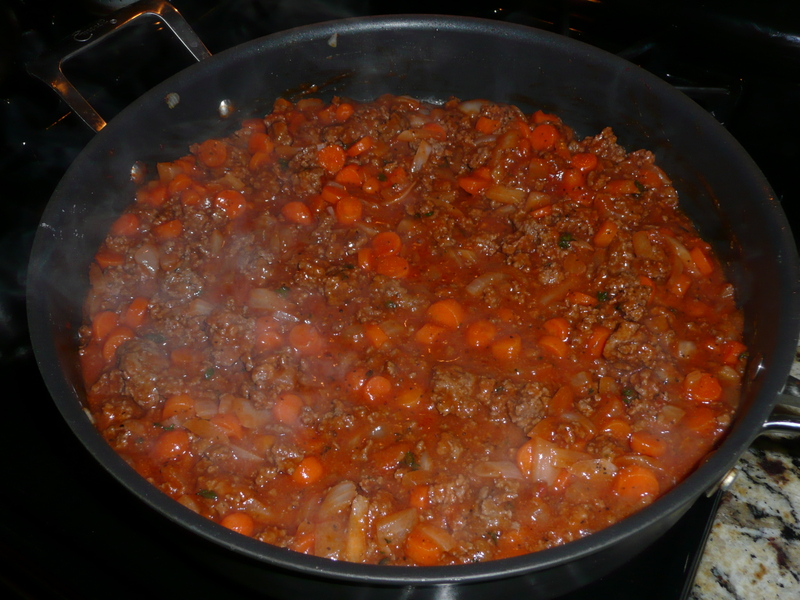 Brown the ground meat then add carrots, onion, garlic back into the pan. 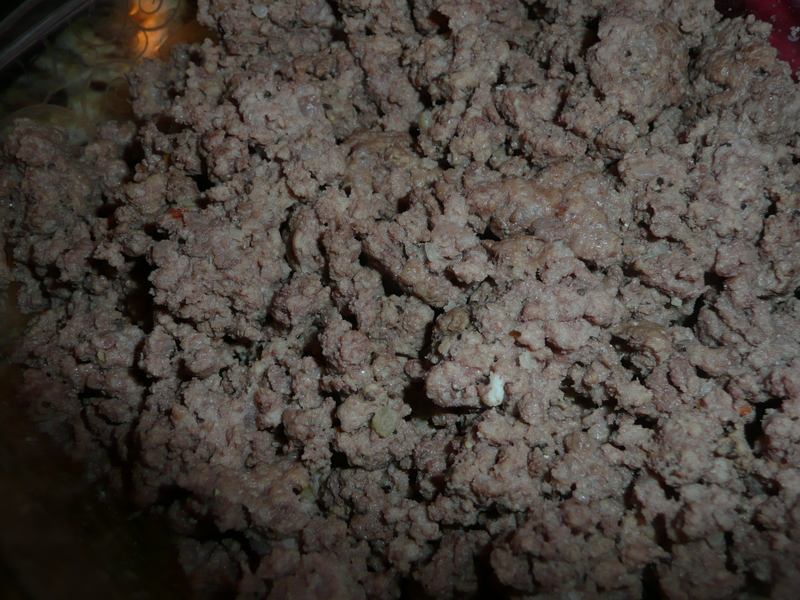 Add salt and pepper to taste, then add in flour and stir to ensure flour gets completely mixed into the meat mixture. Bring the meat mixture with the tomato paste, beef or chicken stock/broth and thyme to a boil, then reduce to simmer until mixture begins to thicken. 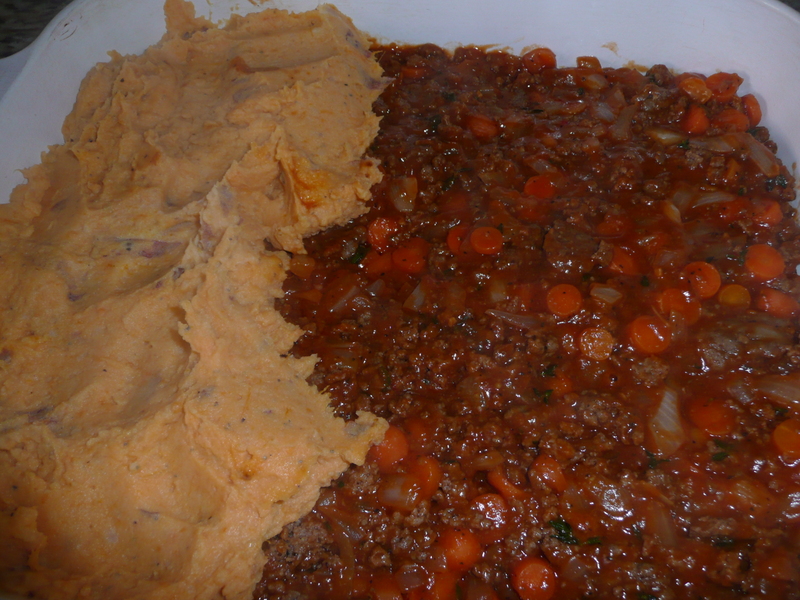 Spray an oven proof dish with cooking spray then add the meat mixture in the bottom of the dish. 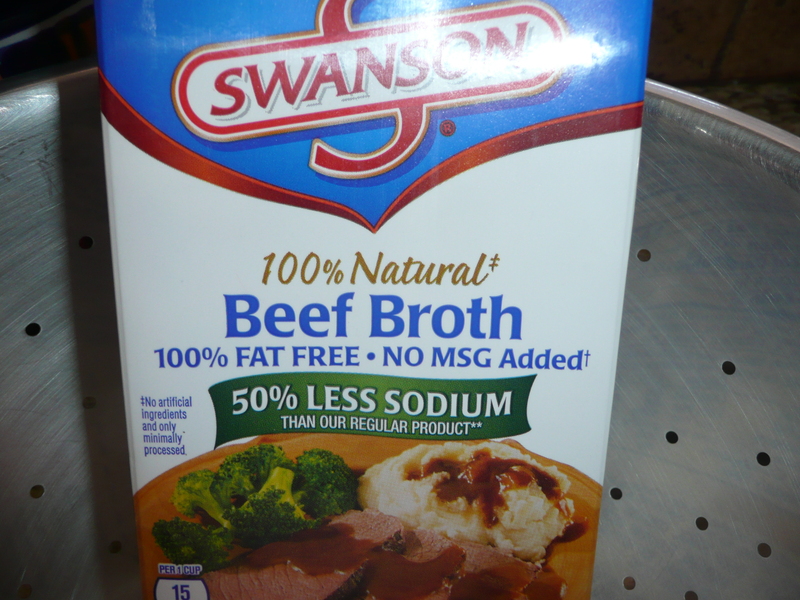 Mash the potatoes using the fat-free milk or fat-free half and half, then spread the potatoes over the meat mixture. Cooks Note: You can add cheese on top about half way through the heating process but keep in mind the more cheese you add the more fat you are adding too… If I add cheese, I use reduced fat cheese. This is Shantel’s last semester at South Mountain Community College. She will receive her AA in psychology in May, then transfer to Grand Canyon University in the fall of 2014 to earn her BS in Health Care Administration. We are so very proud of her and all she has accomplished. Great Job Shantel, GREAT JOB!!! Update: Shantel is also still in the process of finding a house to share with two other girls. If they find a house they can all agree on, in the right part of town that will make travel to and from school/jobs convenient for all of them, and the price is right, and the stars all line up just right, they will all be roommates in February or March. However, in the event the roommate situation falls through, Shantel said she still wants to move out and into an apartment of her own. If that comes to pass, my husband, Bill, and I, will do all we can to help her move into her new apartment or house that will be convenient for her and in a safe area of town. This, of course is a BIG transition for our family. 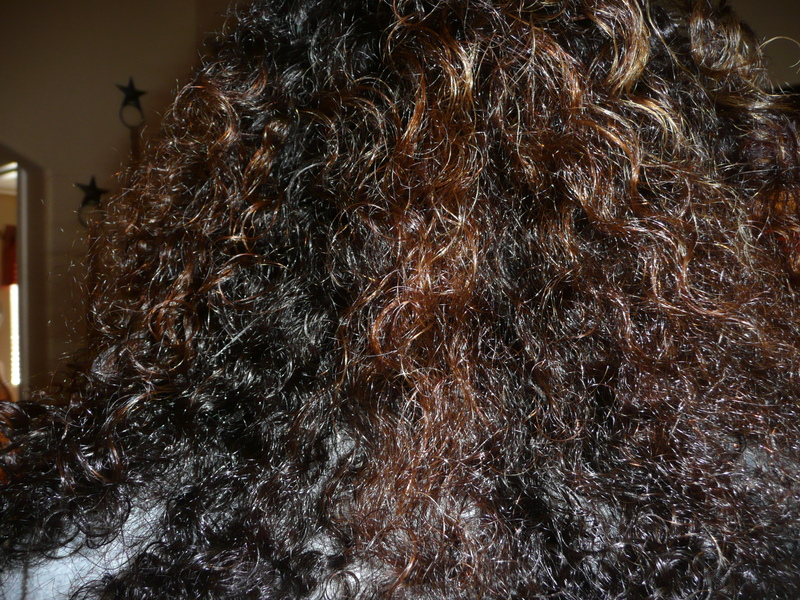 Of course, as her mother, I will miss her and worry about her…. And, I will need to adjust my life to fill in the hours I’ve spent with Shantel… But, at the same time, and as I choke on my own words…, in my heart, I know it is time for Shantel to leave our home and make a life of her own. Once home, Shantel had Bill help get her Apps and music on her new phone, then she tried her new phone out. After spending some time navigating through her different apps and such, Shantel decided she didn’t like the new phone because of the quality of the voice over, which is an access ability feature in every apple product that allows her to use her phone as a sighted person would. The phone speaks to her, and when she uses the phone for doing school work it also reads the information on the screen just like her computer does… Shantel said she couldn’t use the App store, iTunes, or Safari (internet) on the new phone. She said she was going to ask us to take her back to the Verizon Kiosk the next day to return the phone and get another 4S phone like she had before the upgrade. Verizon said she had 14 days to return the phone if for any reason she didn’t like it. So, she put her new phone on the kitchen counter, where she always charges her phone, and left it to charge for one hour and went to her room. By now it was 10:00 p.m. and Bill and I were already in bed for the night…or so I thought.. When Bill got home from work on Monday, he took Shantel to a Verizon store (not a Kiosk). They were told they couldn’t help them because the phone was purchased at the Kiosk and not a “real” Verizon store… Who Knew??? We paid the $170.00 deductible and sent the broken phone to the insurance company. They sent out a new replacement phone via next day delivery. Lesson learned… We will NEVER, EVER, do business with a Mall Kiosk again…EVER!! !